Saltwater Fishing Essentials Waterproof Field Guide - Compact Folding Format, Portable Detailed Information, Lightweight And Durable | BUDK.com - Knives & Swords At The Lowest Prices! Saltwater Fishing Essentials is a convenient quick reference to the topics every angler needs to know. 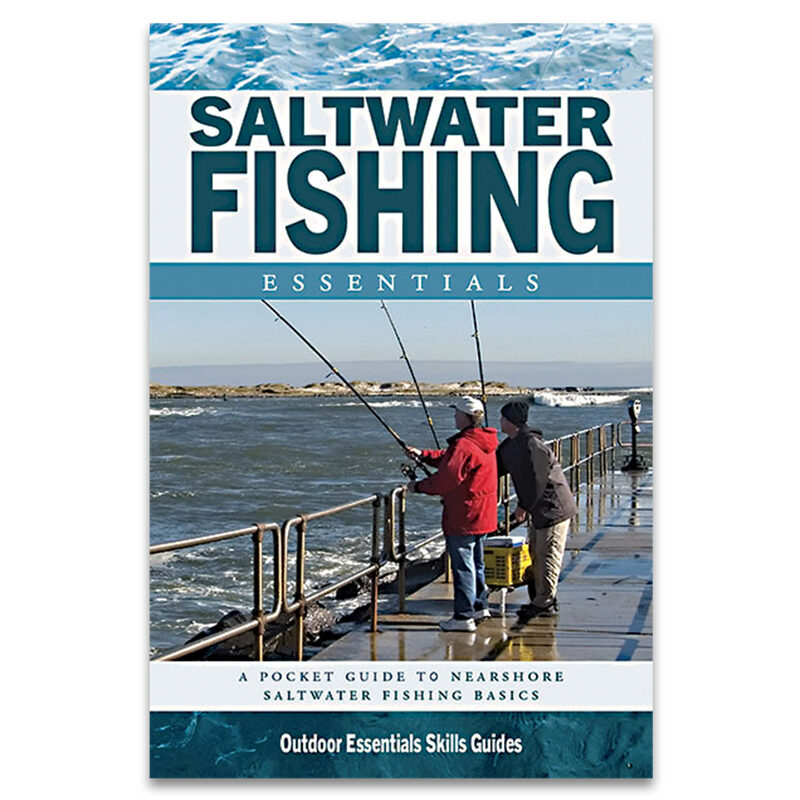 This pocket guide provides information on all the basics including essential equipment; the best tackle and fishing methods for catching fish when surf casting, pier fishing or fishing backwaters and bays; when to fish; the most common species of nearshore saltwater fish and the hook size that applies to each, and how to land, gut and fillet a fish. This lightweight, waterproof folding guide is an indispensable source of information for anyone who loves to fish. It’s made in the USA by a family owned and operated publishing company.